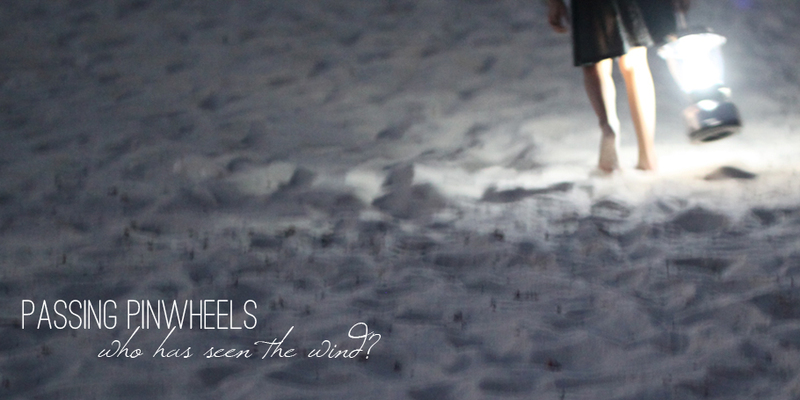 Passing Pinwheels: In which I find out that my neck isn't, in fact, just fat. In which I find out that my neck isn't, in fact, just fat. Every doctor I've ever seen has made some comment about how my "thyroid looks full." 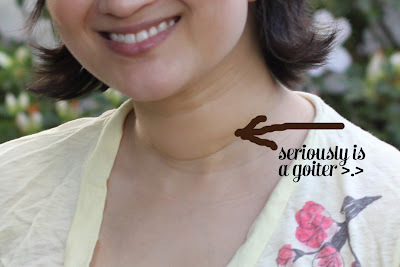 Which is a nice way to say I have a goiter, ha. I begin to suspect I just have a fat neck because I've had labs done and they are always correct. I was also tested for some thyroid related genetic disorders when the doctors did the "what caused this" testing last summer. Negative, again. Yesterday, I saw the specialist. He told me that I have a multi-nodal goiter and said that it's not unusual for labs to come back normal for this. The nurses took some more blood (after telling me they thought I was a teenager and not a 31 year old) to run a couple of tests the doctors said only endocrine clinics do. In three weeks, I'm going in for an ultrasound. Depending on what they find, it's possible I'll have a node (or nodes) aspirated and tested. Because the swelling is pressing on my esophagus, he prepared me for the idea of having all or part of my thyroid removed. Which, quite frankly, sounds disgusting. Interestingly, though, the surgeon who fixed my hernia back in August does that surgery. Of course, all of this was prefaced by a "don't worry, only about 2-3% of multi-nodal goiters world-wide are something to worry about." I'm not worried, really, but I am a bit...interested in the test results, partly because there's a possibility this could have something to do with Garrett. The doctor mentioned bleeding issues, autoimmune reactions, weight issues...like I said, interesting things. And on a somewhat shallow note in comparison, getting this taken care of could help my insomnia, difficulty losing weight AND lack of energy. Oh, while I'm writing, I finally listed the word art on Etsy. In addition to what's on Etsy, let me know if you're interested in custom word art, invitations, anything like that. Mike and I are in extra work mode because there have been a few unexpected expenses. Like the family of squirrels living in our wall. That was exciting. And pricey. :) I'm working up some business cards for him to promote his side work fixing computers and setting up networks/computers/servers in homes and small businesses. I'm also putting out feelers to see if anyone might want private aikido lessons for themselves or their kids. Fun times! But I'm grateful we both have skills we can use to ease some of the financial strain!